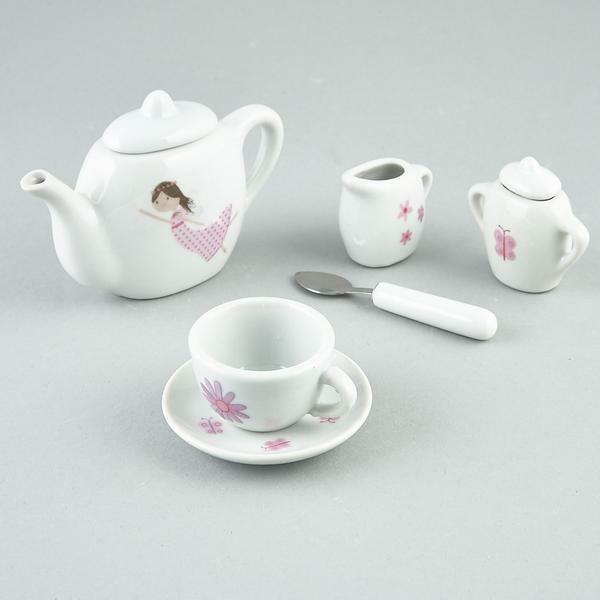 A beautiful floral design featuring our Fairy Blossom Fairy and is a four-place ceramic tea set ideal for little ones tea parties with their friends. 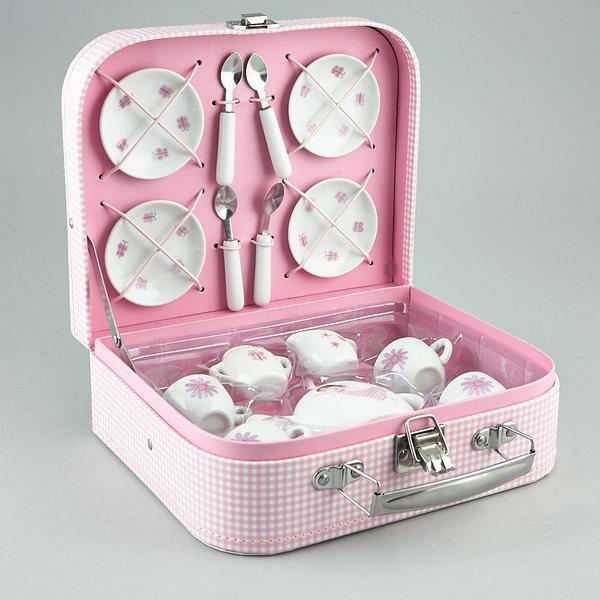 The tiny cups and saucers are perfect for a dollies tead party. 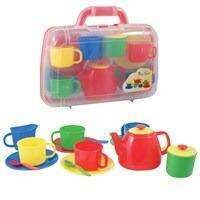 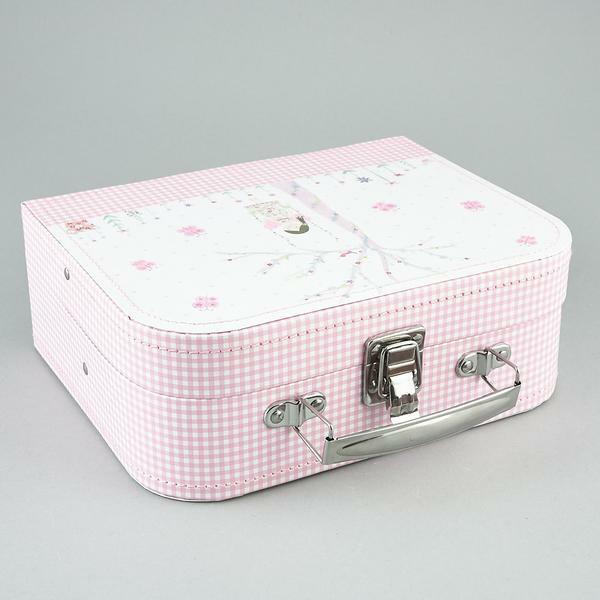 Supplied in a pretty glittered attaché case containing 4 cups, 4 saucers, a teapot with lid, a sugar bowl with lid, a milk jug and 4 spoons.